A Nigerian court has ordered the temporary seizure of a $37.5 million property owned by a former oil minister, the state news agency said, the latest move related to graft allegations against a lynchpin of the last administration. 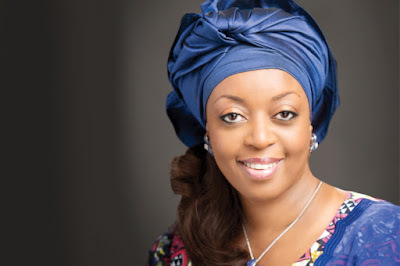 Diezani Alison-Madueke, a key figure in the administration of former President Goodluck Jonathan who served as petroleum minister in the OPEC member country from 2010 to 2015, has been dogged by corruption allegations over the last year. The U.S. Justice Department filed a civil complaint last Friday aimed at recovering about $144 million in assets allegedly obtained through bribes to the former minister. A lawyer representing the former minister did not immediately respond to a request for comment on Thursday. Alison-Madueke's whereabouts are unclear, but she was last known to be in Britain. In April, she was charged in absentia with money laundering by Nigeria's financial crimes agency. In October 2015, she was briefly arrested in London for questioning about allegations related to missing public funds but no charges were brought against her. Prior to her arrest she had denied to Reuters any wrongdoing when asked about missing public funds and corruption allegations. On Wednesday the Federal High Court in the commercial capital Lagos issued the order over Alison-Madueke's property in the city's upmarket Banana Island area which she bought in 2013, the News Agency of Nigeria (NAN) said. The property is an apartment block situated in a heavily guarded gated community where some of the richest people in the country have properties worth millions of dollars. The area is also popular with expat oil executives. The court also ordered a temporary freeze on sums of $2.74 million and 84.54 million naira ($269,000) that were said to be part of the rent collected on the property. The temporary seizure orders were made following an application to the court by the Economic and Financial Crimes Commission (EFCC). Anselem Ozioko, the barrister representing EFCC, told the court that the financial crimes agency suspected the property was acquired with the proceeds of alleged illegal activities. Nigeria's President Muhammadu Buhari took office in May 2015 vowing to crackdown on corruption, but there have been no high-profile graft convictions during his tenure. The opposition People's Democratic Party (PDP), which ruled for 16 years prior to Buhari taking office, has previously accused the 74-year-old former military ruler of mounting a witch-hunt against its members.